I acknowledge that I own the copyright to the image I have uploaded. If I do not own the copyright, I acknowledge that I have written permission from the copyright owner to use the image. I understand that 'Wallsauce.com' has the right to reject or refuse to print any images that do not follow copyright laws or for any other reason deemed inappropriate. I understand that Omega Sky Ltd (trading as wallsauce.com) accept no liability for infringement of copyright and in uploading this image it is understood that you are accepting all responsibility and legal liabilities for its use. There's no better way to transform your living or work space with one of your very own photos or designs. At Wallsauce.com, we have created this ‘use your own image’ feature to help you print your own wallpaper with your favourite photos or artwork. In just a few easy steps, you can upload your file, check whether the quality is suitable for wallpaper and order your wallpaper to the size of your dimensions. Just make sure you own the copyright to the image, otherwise, you will need written permission from the artist or photographer. Alternatively, if you have any problems or queries, you can contact our studio team who will be happy to help you. Found an Image on Another Website you Like? If you've found an image you'd love to use on a stock library like Fotolia, BigStock or one of many other image libraries please ask us for details and advice. We regularly source and provide murals from millions of images that are available online and we may already have access to it. If you’d like to use a piece of art from an artist or photographer that we don’t have access to, please note that we ask you have written permission from the copyright owner to use the image. Can’t decide on your favourite photo or want to upload more than one image for a single wallpaper order? Email your images to our studio team, along with your dimensions and any layout ideas and they’ll be able to help you create your wallpaper for a small additional fee. Concerned that your photo or artwork isn’t at the right resolution and may be poor quality? Rest assured, not only can you check your image’s quality once it’s uploaded, our studio team will also take a look at your order and notify you of any concerns regarding print quality. Printing your own wallpaper with your image or artwork couldn’t be easier! 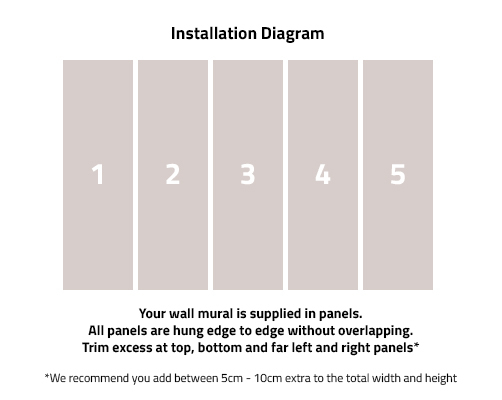 In a few simple steps, you can upload your file, check the quality and order your bespoke wallpaper mural to your dimensions. Uploading your file couldn’t be easier! Simply click ‘choose file’ to select it from your device. In order to place your order, our image quality indicator must say that your image is ‘excellent’. This is to ensure that your wallpaper mural will be of high quality. 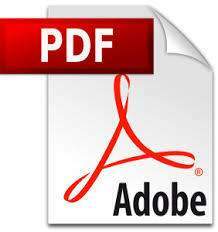 Please note that only JPEG or TIFF formats can be submitted using the forms. Any other file formats will need to be emailed to info@wallsauce.com. Alternatively, if you’re looking to create a wallpaper mural using several images or for more help, contact our studio team. Once you’ve uploaded your file and you’re happy with it or you’d just like a quote, click ‘continue’ to enter the dimensions of your wall. This will then bring a ‘crop box’ onto your images to show the proportion of your measurements. Move the ‘crop box’ to select the part of the image you’d like printing onto wallpaper. Once you are happy with your image crop, you can select your wallpaper material. Choose from a classic or premium paste-the-wall wallpaper or a self-adhesive, ‘peel and stick’ wallpaper to complete the quote/ order. Every wall mural we produce is unique and is printed on demand, once we have received your order. Once your custom made wall mural has been printed it is carefully packed and shipped to you via our courier DHL using the DHL Express service. All orders are normally delivered within 4 to 6 business days. Wallsauce.com offers free shipping on all orders being shipped to addresses within the contiguous 48 U.S. States for orders above $120. Please allow 1 to 2 business days for processing and printing your custom made wallpaper mural. You will then receive an email of confirmation that your wall mural has been shipped. We will then normally deliver your order within a further 1 to 3 business days depending on your location. We also ship to Alaska and Hawaii, however, shipping and handling charges do apply to these destinations. Shipping charges to these destinations will be shown during checkout. We provide international shipping via DHL Express. Please contact us for details.